For this commissioned performance, Ruilova drew on both her music and film backgrounds to create a piece featuring a new, single-channel, large-scale projected video created accompanied by live music and performance. Inspired by the 1970s legendary and controversial Polish science fiction film The Silver Globe, directed by Andrzej Zulawski, Ruilova’s video altered and remixed excerpted footage from this film and combined it with her own original filmed material. 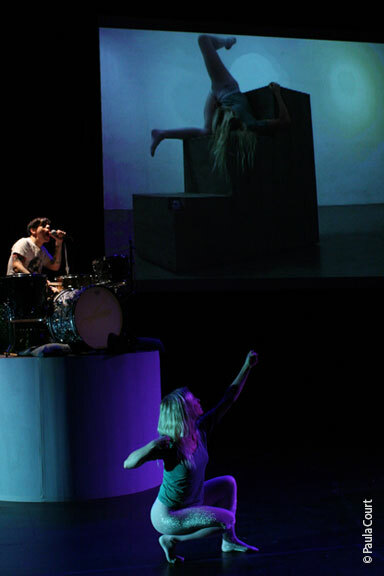 The performance featured choreographer and musician Caitlin Cook, drummer Ian Vanek of Japanther, and Dan Seward, leader of the band Bunnybrains. This performance was curated by Debra Singer.